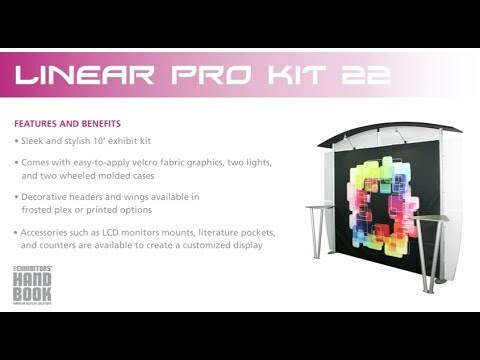 Linear™ Pro 10' x 20' Modular Backwall Kit 27 is a modern display solution that is highly portable. 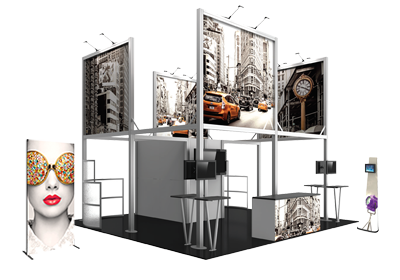 Setup, take down, storage and shipping are all a breeze with this portable modular kit, which can be customized with graphics and accessories to create the appearance of a fully customized exhibit. Create a big impact with the affordability of an off-the-shelf display in Linear Pro Kit 27.